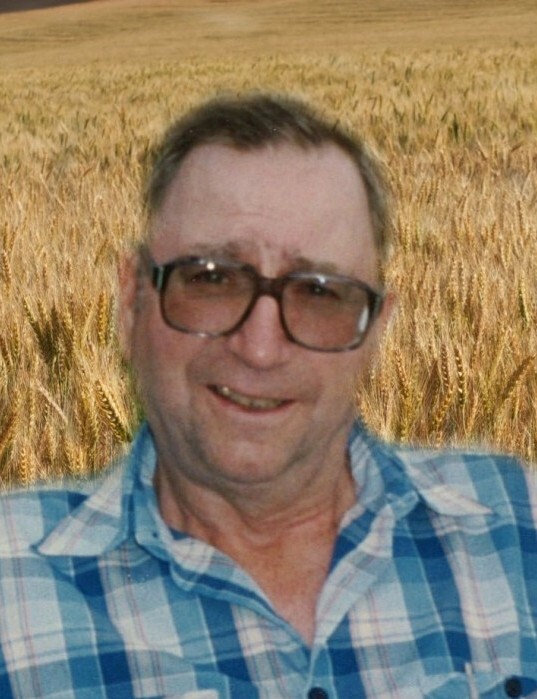 Alexander William McFadyen passed away peacefully in Vegreville Hospital on Thursday, November 22, 2018 at the age of 88 years. Alexander is lovingly remembered by his step children Brenda (Aime) Rousseau, Janet Mackie, Sandi Mackie, and Debbie (Brent) McCaffrey; ten step grandchildren Adrien (Suzanne) Rousseau, Marc (Karin) Rousseau, Curtis (Kristi) Rousseau, Bowen Degenstein, Karl Degenstein, Denean Degenstein, Jason Piper, Dennis (Sarah) Piper, Chris Piper, and Cara McCaffrey; six step great grandchildren Atley, Caleb, Burke, Ryder, Mackenzie, and Everleigh; niece Lorrie (Keith) Boomhower and their children Crystal Taylor, Alexander Taylor and Tyson (Raynelle) Boomhower; sister in law Inez (Stan) Curtis and their children Wendy (Randy) Barlow and Neil (Cheryl) Curtis, along with grandchildren Braelene Barlow, Brittany (Carey) Derksen, Austin Breure (Sharene Cunningham), Garrett Curtis, and Danielle Curtis; as well as numerous other nieces, nephews and friends. He was predeceased by his first wife Anne Louella McFadyen (nee Anderson); second wife Joyce Dorene McFadyen (nee Mackie); parents John Edmund and Doris Julia McFadyen; and sister Marion (Clarence) Flood. A private service in memory of Alexander will be held on a later date with his family and friends. Donations in his memory may be made to Vegreville Care Centre, Islay Cemetery, or charity of one’s choice.